Currently on in the exhibition space on Level 2 of the Waitakere Central Library is an exhibition highlighting some of the stories of West Auckland contained in our collection of oral history recordings. If you are interested in exploring any of these stories in more depth these and other recordings can be listened to in the J T Diamond Reading Room at the West Auckland Research Centre. 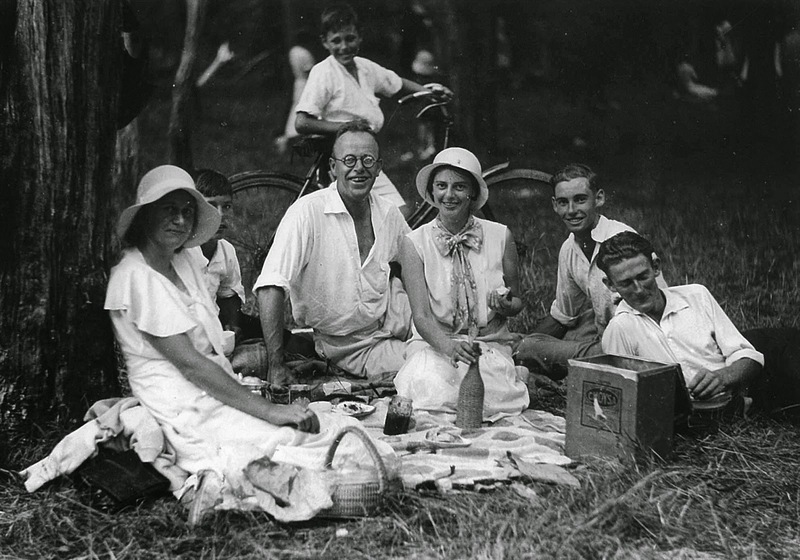 Ref: Picnic in Henderson, 1932, West Auckland Research Centre, Auckland Libraries. Keri Hulme’s masterpiece the bone people became the Auckland Writer’s Festival’s inaugural Great Kiwi Classic last year. The novel took 17 years to write and was rejected by every publisher in Australasia until the feminist collective SPIRAL brought it out in 1984 with a cover illustration by the author. The following year the bone people won the Booker Prize from a shortlist that included work by Peter Carey, Doris Lessing and Iris Murdoch. 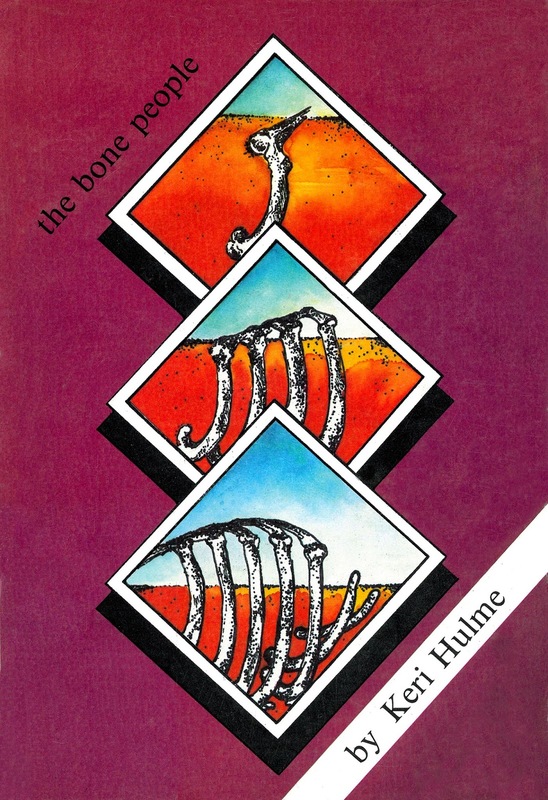 Ref: the bone people, Cover, c1983, Sir George Grey Special Collections, Auckland Libraries, 823 HUL. 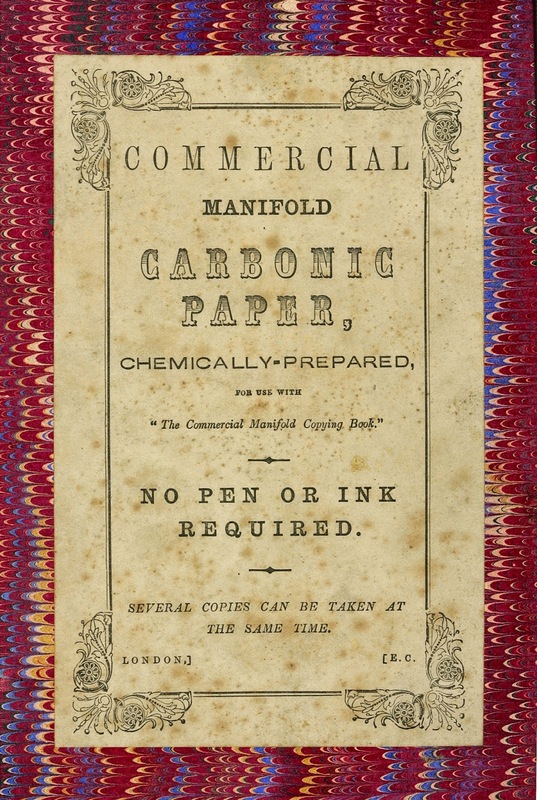 Today we are highlighting a couple of interesting items from our New Zealand Manuscripts collection: carbon paper manifold copying books. These two copying books show two of the most common uses for the technology. The first of these is a letter book of a practising lawyer and contains business records as well as personal correspondence, while the second is a letter book as well as a diary. Ref: James Pirie's diary, Front endpaper detail, 1870s, Sir George Grey Special Collections, Auckland Libraries, NZMS 427. Over the last month New Zealand and Australia have been joint hosts of the latest edition of the Cricket World Cup. It started on 14 February in Christchurch and we have now begun the knockout stages. There are two remaining games in New Zealand: the quarter-final in Wellington on Saturday and the semi-final on Tuesday at Eden Park in Auckland. The final is at the Melbourne Cricket Ground on Sunday 29 March. 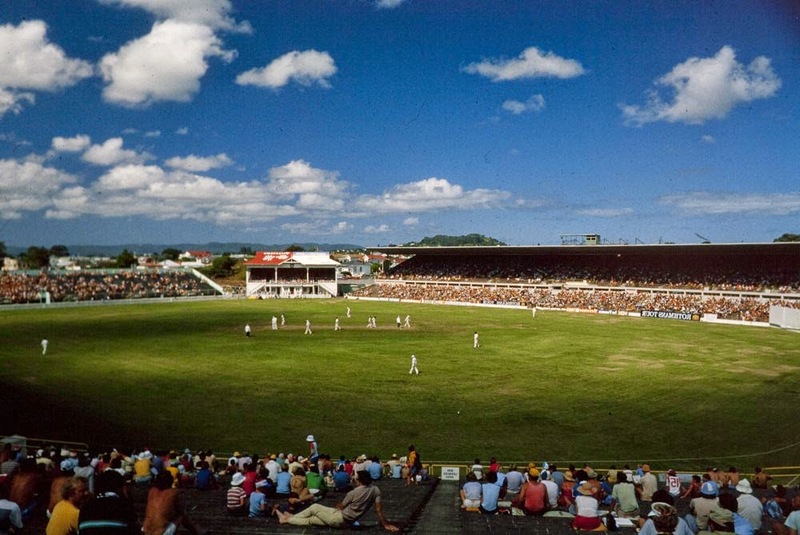 Ref: Eric W Young, Showing a cricket game at Eden Park, 1980s, Sir George Grey Special Collections, Auckland Libraries, 1021-324. Auckland’s entertainment sensation of the 1920s was going to the movies – first silent movies, and then “talkies”. Every Saturday night, one-sixth of the city’s residents went to watch stars like Greta Garbo, Gary Cooper or Gloria Swanson in romance and adventure stories. The most-attended movie – Charlton Heston’s Ben Hur - sold 76,000 tickets during its Queen Street run, and Charlie Chaplin’s The Kid drew 21,000 people in a week. Ref: NZ Ephemera - 'The N.Z. 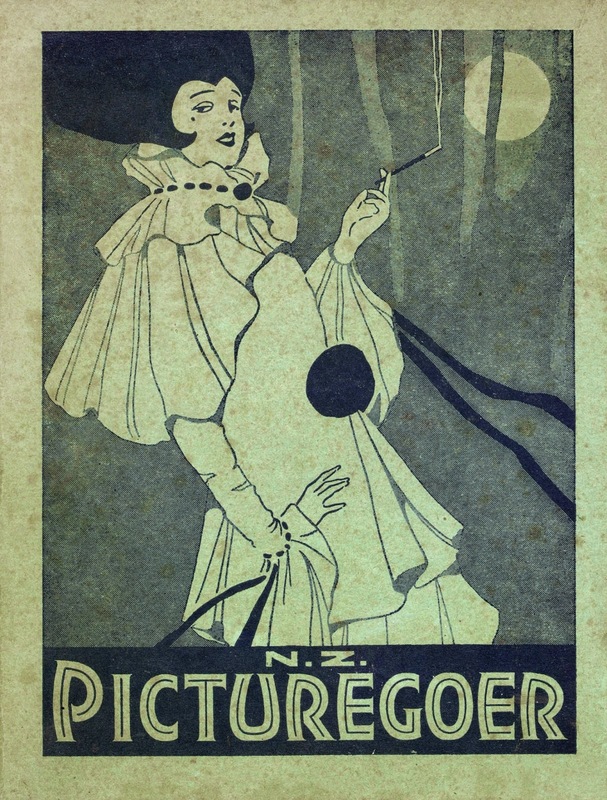 Picturegoer', Volume 1, Number 7, 20 January 1928, Sir George Grey Special Collections, Auckland Libraries. However, not everyone was pleased with cinema’s popularity. One of Auckland’s main exhibitor’s, Henry Hayward, had to answer a complaint from the Discharged Prisoners’ Aid Society that movies normalised crime for children by encouraging them to play make-believe games such as bush-ranging. You all are living under a cloud if you didn't hear that most amazing sporting news of the past month. Forget the Breakers, Team New Zealand and the Cricket World Cup… the real news was that The Bushwhackers, that great wrestling tag team of the 70s and 80s, were inducted into the WWE Hall of Fame. This is huge. Mike Hosking even mentioned it on the telly during Seven Sharp. In the first week of February, Auckland Libraries was delighted to have hosted several events to support New Zealand Cemeteries Heritage Week, which was to celebrate the launch on Ancestry of the New Zealand Society of Genealogists (NZSG) cemetery microfiche. The cemetery microfiche was the culmination of almost 50 years' worth of work by volunteers from the NZSG - a painstaking process of recording and transcribing cemetery headstones from 1400 public and private cemeteries nationwide, including Māori urupa from 1800 right up until 2007. The official launch day was held on Monday, 2 February, 2015, at the New Zealand Society of Genealogists head office in Panmure where current NZSG President Gay Williams discussed the history of their Cemetery Collection and explained the work that was behind it. The launch made the news on TVNZ. Trevor Lloyd was a New Zealand artist, illustrator and cartoonist who lived from 1863 to 1937. He was largely self-taught although he might have had some lessons from the artist Louis John Steele. He started doing sketches and caricatures but soon moved on to oil paintings based on his sketches. Eli and Selina Warburton of Lancashire, England, had 2 children, James Hartley and Edna, while living in England. 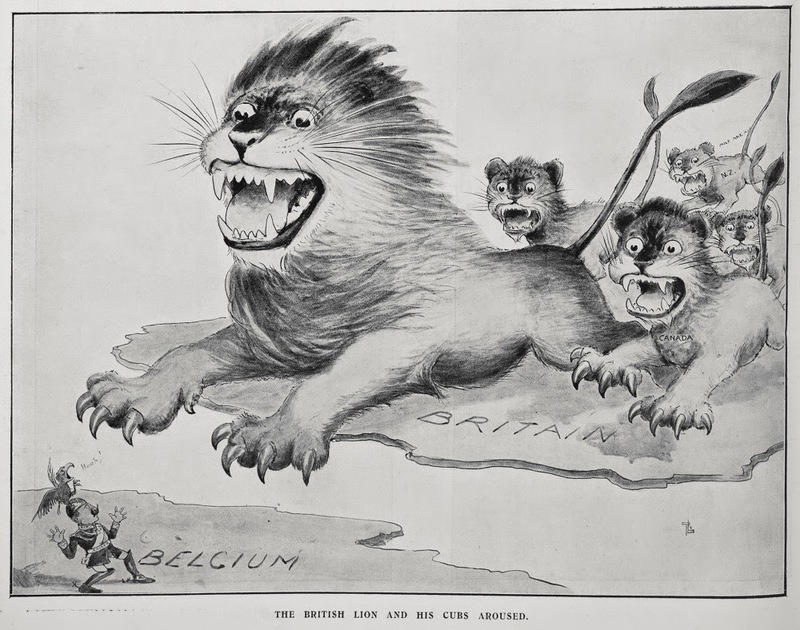 The Warburton family immigrated to New Zealand in the early 20th Century. The Warburton family: from Lancashire to New Lynn The 1901 UK census shows that at 3 years old James Hartley Warburton was living with his father Eli Warburton (31 years old), cotton weaver, his mother Selina Warburton (26 years), and his sister Edna (2 years old) at 18 Merton Street, Lancashire. The NZ Electoral Rolls show that the Warburtons were living in New Lynn by 1911. If you would like to search the 1841-1911 UK Census records they are easy to access for free at any of the Auckland Libraries through theAncestry and FindMyPast databases in the Digital Library. The New Zealand electoral rolls are available on microfiche at Auckland Libraries’ Research Centres as well as online at Ancestry. To celebrate Auckland Cup day at Ellerslie today, we've had look through various Heritage and Research collections held at Auckland Libraries to find out some the history around the Auckland Racing Club, the Auckland Cup and Ellerslie racecourse. 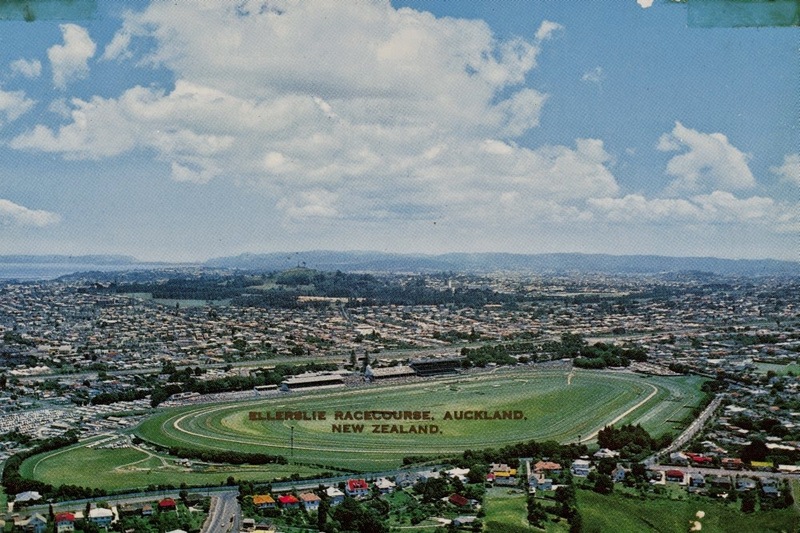 Ellerslie Horses have raced at Ellerslie since 1857 when Robert Graham hosted a race meeting on his property, on the site which is now Ellerslie Racecourse. 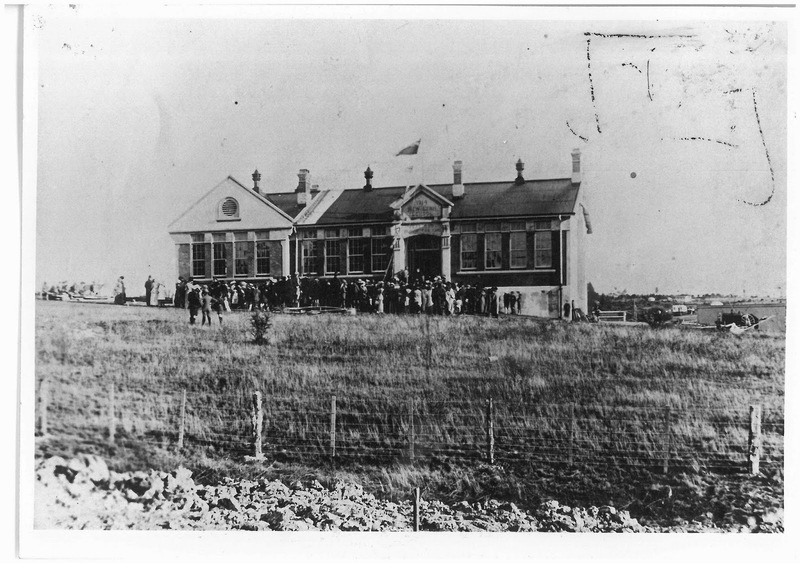 The Auckland Racing club then purchased thirty-six hectares of land from Graham in 1872 on which the course is situated. Ref: GB Scott Publications Limited, Ellerslie Racecourse, Auckland, New Zealand, 1970s, Sir George Grey Special Collections, Auckland Libraries, 996-1505.